In a comprehensive article published by Rabbi Yaakov Ariel, one of the most prominent halakhic authorities and religious Zionist rabbis and the president of the hesder yeshiva in Ramat Gan, he attacks the Supreme Court following its decision not to allow the state to hold terrorists’ bodies as bargaining chips in order to force Hamas to return the bodies of soldiers Hadar Goldin and Oron Shaul, who were killed during Operation Protective Edge. The rabbi's remarks are presented in the new volume of the annual bulletin of the Tzomet Institute, “Techumin.” Rabbi Ariel proves in the article that, according to halakhah (Jewish law), holding terrorists’ bodies is appropriate in the framework of the war being waged between the State of Israel and Hamas. He said that the Supreme Court decision is an example of the disruption in proper relations between the judicial and executive branches. Despite the fact that according to halakha, the executive branch is subject to the legal system, this only applies to bringing the king to trial for personal guilt, but it cannot be demanded that the position of kingship itself - the executive branch - be subject to ordinary civil law. "The executive branch needs a long enough rope and a wide margin of discretion to conduct its policy out of a heavy responsibility to its citizens, especially in time of war. War management must be carried out by the army and cabinet, and they must consider broad and long-term public considerations," he wrote. The rabbi established that "In war the rules of justice are different than in civilian life - especially when it comes to a cruel enemy." According to the rabbi, the executive branch must be critiqued by a “super authority” which recognizes the authority to the executive branch to deviate from the rules of ordinary civil law, and which is capable of in-depth understanding of the executive’s considerations. The judicial branch cannot do this and does not bear the responsibility. It usually deals with the civilian level, and this is also the angle of its vision and way of thinking. Only the Sanhedrin (court of Temple times) is capable and authorized. Rabbi Ariel calls for an alternative to the Supreme Court, composed of high-level and agreed-upon spiritual figures who also have an understanding of public political and security issues, that can critique and even judge the executive branch. The article was published in the first volume of “Tachumin,” which is being published after the death of its founder, Rabbi Yisrael Rosen. 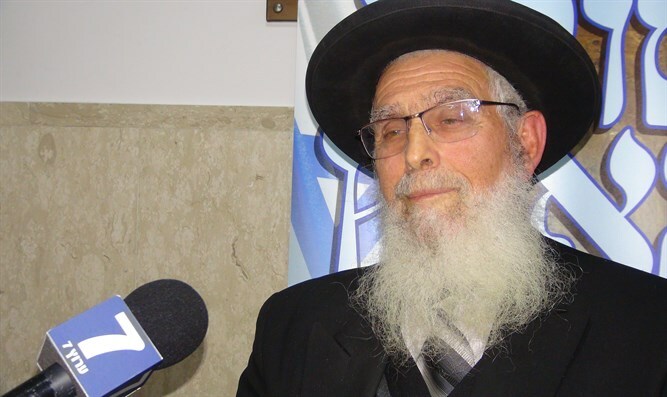 Rabbi Menachem Perl, head of the Tzomet Institute, says that “Tachumin is a central stage in bringing halakha to the world, and Rabbi Rosen's merit in bringing it about will stand forever."